Sustenance: Community of Giving | Words of Wisdom? 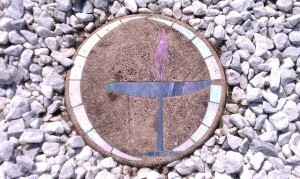 We light this chalice as a symbol of Unitarian Universalism. this is the church of the caring community. These are gifts that we give as individuals to each other and to the community; and gifts that we give as individuals and as a community, to the world. It’s a fascinating thing about giving of oneself – nothing is ever lost. We receive as much, if not more, in return for our giving. This is why UUCG (as well as the broader Unitarian Universalist community) is so beloved to me, personally. When everyone gives, not only are we each sustained by the community, the community becomes self-sustaining. As we give, so we receive. What, for you, makes a beloved community? This entry was posted in Sustenance and tagged community, Principles, Unitarian Universalist. Bookmark the permalink.